Tytherington has a link, if rather tenuous, with the internationally famous orchestral conductor and impresario Sir Thomas Beecham (1879-1961) best known for his association with the London Philharmonic and the Royal Philharmonic. 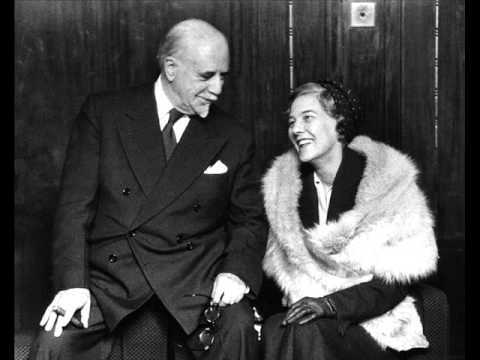 Beecham was married three times and whilst in New York in 1943 he married his second wife Betty Humby, a concert pianist 29 years his junior and they were a devoted couple until her death from a heart attack in Argentina in 1958 aged 49. The Tytherington link is that Capt. Daniel Morgan Humby, Betty's father, was the officer in charge of the Tytherington Prisoners of War camp during the First World War. Yes you're right it's a very tenuous link! !